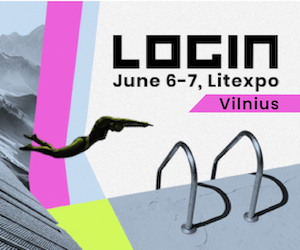 Last week, Lithuania held the largest financial technologies (fintech) conference in the Baltic States – the Fintech Inn conference – with more than 1.300 attendees. With the help of world-class experts (both home-grown and international), the country seeks to increase the speed of fintech innovation adoption. Vilius Šapoka, Minister of Finance of Lithuania, claimed that Lithuania is one of the most attractive countries for fintech startups and research and development (R&D) around fintech. The fast progress of the country has been noticed by international organizations too. Lithuania climbed to 14th position in the latest Doing Business ranking from 16th last year. Moreover, the country recently was ranked first in the National Cyber Security Index due to an overhaul of the Lithuanian cybersecurity law, efficient cyber incidents response, and cyber crisis management. 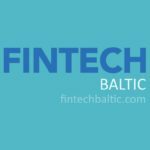 The Lithuanian fintech cluster now includes nearly 100 payment and electronic money institutions. In the last year alone, their number has tripled – similar growth momentum is expected in 2018. The majority of fintech companies were engaged in activities related to payments, electronic money issuance and P2P lending platforms. Half of them offered payment solutions directly to businesses and consumers. 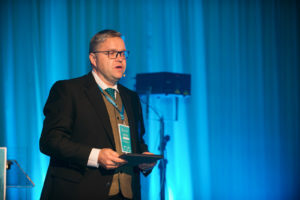 said Vitas Vasiliauskas, Chairman of the Board of the Bank of Lithuania. Often regulators impede the progress of smaller innovative service providers through rigid and strict bureaucratic processes. Here, the main regulator is actually the initiator of progress. Therefore, this year Central Banking, an international financial journal, selected the Bank of Lithuania as the winner of its Catalyst Award. Mr Vasiliauskas said during the Fintech Inn conference that the country now offers one of the quickest and most flexible licensing regimes in Europe. There is a huge increase of different financial services globally. However, Michael McDonough, Chief Economist for Financial Products at Bloomberg, calls the current situation a “conundrum”: technology can do more now than it ever could before, but we aren’t seeing many people using it. said Mr McDonough at the Fintech Inn conference mentioning global economic matters. Even though it is a long way till many current technological innovations will become accessible and standard across the world, companies are still pushing the boundaries. Some countries are trying to pave the way for these ventures. For instance, Lithuania recently opened its payment infrastructure to non-banking institutions, and now fintech companies can directly, without intermediaries, access the entire SEPA area through the CENTROlink platform. 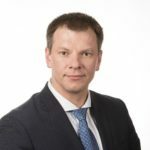 Furthermore, on 15 October the Bank of Lithuania launched its regulatory sandbox to both existing authorized financial institutions and market newcomers. The regulatory sandbox allows companies to test financial innovations in a live environment for up to 6 months under the guidance and supervision of the Bank of Lithuania. During this period, simplified regulations and supervisory requirements are applied to participants of the regulatory sandbox. If the services work well in the test environment, companies would be able to start operating in normal conditions. Organized by the Bank of Lithuania, the Ministry of Finance of the Republic of Lithuania, Invest Lithuania and Agency for Science, Innovation and Technology (MITA), FinTech Inn serves as a platform for dialogue on payments, blockchain and investment.